Selecting the right space to site a medical office is more than just knowing where to plug in the MRI. Today’s medical facility offers so much more than the traditional doctors’ office. With careful forethought, medical professionals can use the size and shape of their office space to enhance productivity and patient satisfaction in their current practice, as well as provide the foundation for their future growth and evolution. Growth in medical and computer science has triggered a sea-change in the design and use of medical office space. Computers now interface with patients, labs, pharmacies and other related providers, which dictates that the medical office also be technologically advanced. “Remote” access to physicians and other medical personnel requires not just clarity of voice and visuals, but also bulletproof security to maintain confidentiality requirements. The need for privacy has also created technological solutions to ensure accurate, reliable and protected records management. On-site labs speed diagnosis delivery and may also provide a separate revenue stream. Interaction with other professionals for diagnoses, collaboration or research is often a stepping stone to innovative therapy development; keeping easy access to those resources may be crucial to patient survival or practice growth. Adding surgical suites, therapy spaces or educational classrooms may be next steps as the medical practice evolves. Each of these potential practice aspects should be considered when determining where to establish a base medical facility. At the same time, management of the physical office is also paramount. If purchasing a site is an option, consideration should be made of the energy and cost necessary to manage it. If is preferred, a landlord can act almost as a contractor for the medical provider. Potentially, a landlord can agree to provide essential property management services that would be designed to ensure the integrity of the practice. This option allows medical personnel to leave facility management concerns with those professionals and keep their focus on the medical practice, where it belongs. 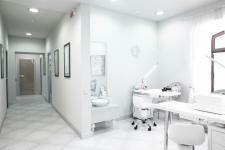 Finding and leasing appropriate medical office space calls for knowledgeable, discerning real estate agents. Contact us to discuss how we can get your medical office facility set up for now and the future. This entry was posted in Uncategorized and tagged medical office space, medical space. Bookmark the permalink.